The experienced bowhunters know the ordeal of keeping the broadheads sharp and together once they are out of their packaging. In order to keep the broadheads safe it is important to get the best broadhead case that can take care of the arrows as well as of the broadheads. The broadheads are sharp, in fact super sharp so they need to be kept carefully. There are a lot of cases thee in the market that claim to keep the broadheads safe and protect them from getting damaged and also protect others from getting hurt by them accidentally. 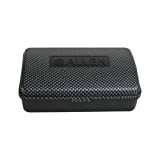 Most of these cases are cheap, which is why it is any day better to buy the best broadhead case for them. The new stay sharp case by the Easton archery is designed in such a way that it can keep the entire broadhead components safe, together, sharp and always ready to use on the field. The new stay sharp case is great for keeping broadheads once they come out of the retail packaging. 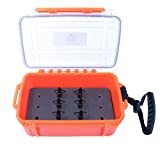 The design of the new stay sharp case is such that it can remove the edge contact and each package of it contains atleast 12 blade retaining inserts, which help in securing the blades, the o rings and collars. The new stay sharp case is durable and is made up of ABS body, which is a plastic that is known for being impact resistant and tough; it also comes with polycarbonate caps. The new stay comes with blade heads that are fixed and are compatible with most of the broadhead designs that are there in the market. In most of the broadhead cases a foam padding is used which can dull the broadhead edges, while in the new stay sharp case the rubber body helps in supporting the ferule and also leaves the blades untouched and unharmed. The new stay sharp case can hold up to 2 blades, 3 blades and 4 blades, of 3.5 lengths and with a width of 1-1/8. It has touch-less deigns that ensures the sharpness of the broadhead. It consists of a 12 blade retaining threaded inserts and it is compatible with the standard broadheads of 8-32. The body is durable and has huge polycarbonate caps at the end. It can hold atleast six mechanical blades or fixed broadheads. The experienced bow-hunters are well aware of the challenges of storing the broadhead components safely together. 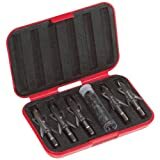 The broadhead case is any day a secure way of storing these broadheads, bow-hunters would find a lot of different broadhead cases in the market and online but all are not to that good and safe for keeping broadheads. Always check the dimension of the broadhead case before buying it, as it has to be in accordance to your broadheads. Broadhead cases can be found online on a number of websites and the new stay sharp case is the best broadhead case among all of them. Maybe You Are Using Your Broadheads Incorrectly – Here’s Why!